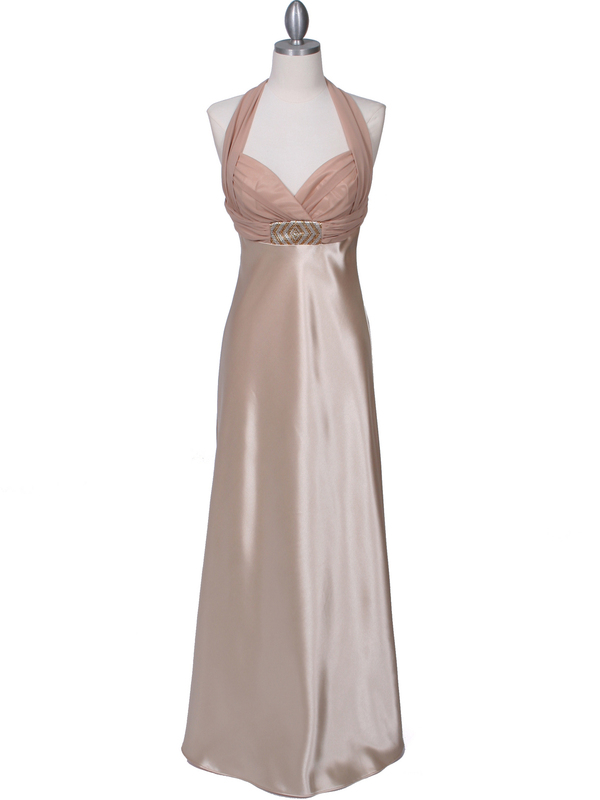 Gold Halter Evening Dress | Sung Boutique L.A. 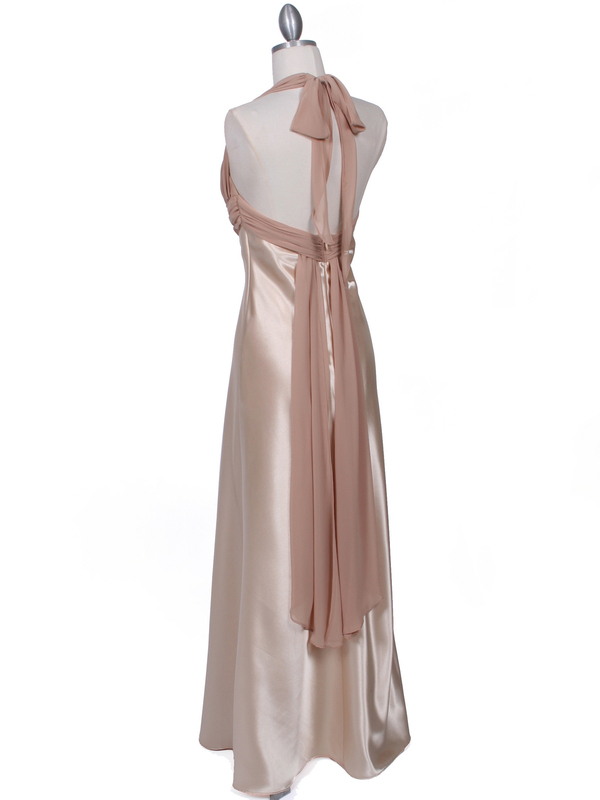 This elegant satin evening dress features chiffon top halter neck with sweetheart neckline. Pressed rhinestones adorn the front of the empire waist. Flowing long chiffon sash details the back.